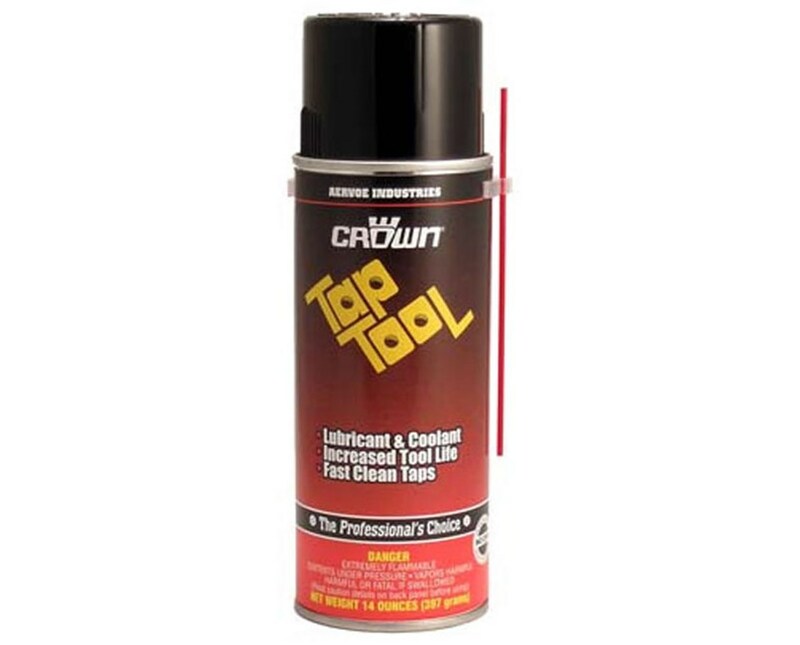 Designed for use in tools and machinery parts maintenance, the Aervoe Tap Tool Lubricant and Coolant (12-Pack) is formulated to provide extended life and ensure maximum efficiency. It reduces friction and carries heat away from the cutting edge of any tool eliminating seizing and wearing. This minimizes tap breakage and increases tool life by as much as 200 percent. This lubricant and coolant by Aervoe features a synthetic formulation that does not contain sulfur and is not petroleum-based. Ideal for drilling, engraving, reaming, tapping, broaching, threading, boring, and other industrial applications in manufacturing facilities, it is excellent for all metals including aluminum, stainless steel, and titanium. It is not recommended, however, to be applied on electrical equipment or machinery while in operation. 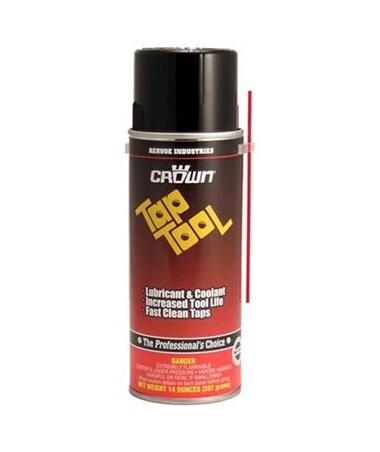 The Aervoe Tap Tool Lubricant and Coolant (12-Pack) contains 14 ounces of transparent, non-foaming liquid. It is sold by case and includes 12 spray cans in one package. Covered by a one-year manufacturer’s warranty, it ensures long-lasting performance.